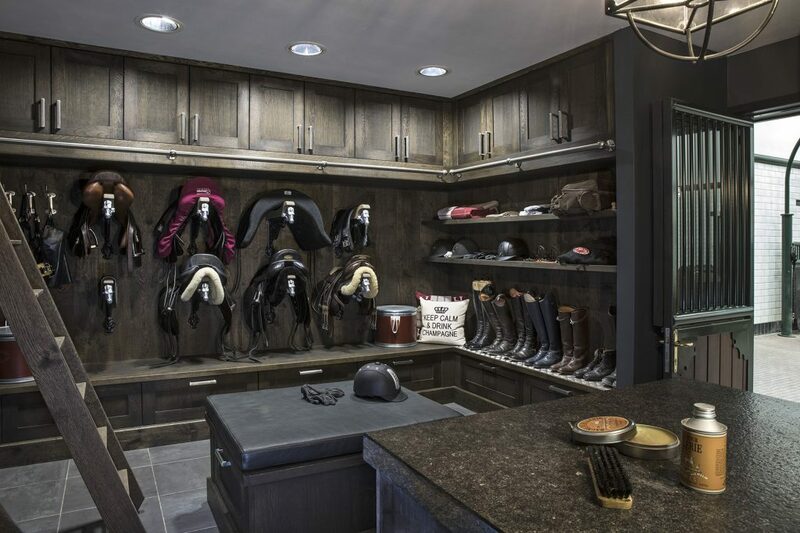 A SeBo tack room not only consists of beautiful cabinets, but you also have a highly practical and durable tack room that will offer you years of pleasure. SeBo pays particular attention to humidity control to offer the best possible environment for your precious tack. It is nature in silent form with her beautiful color nuances and an endless gradation in patterns that makes it come to life. 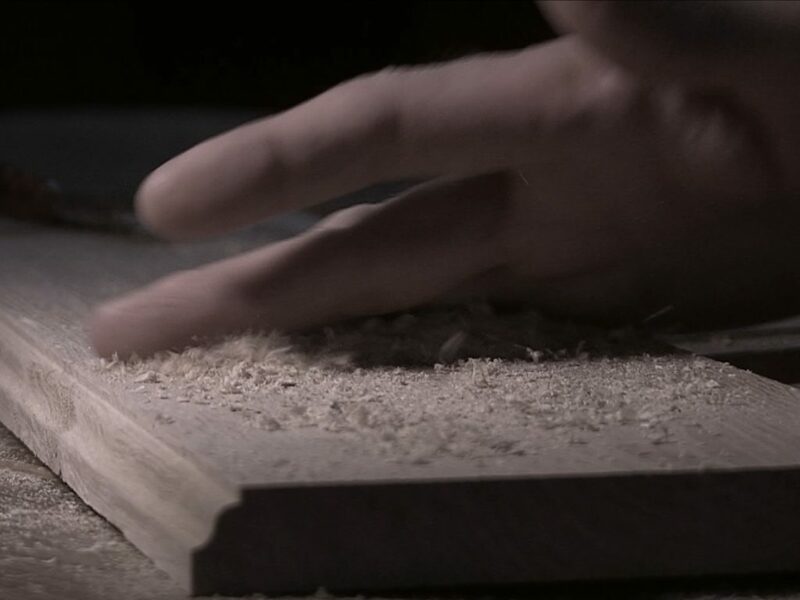 The heart of every piece of furniture. 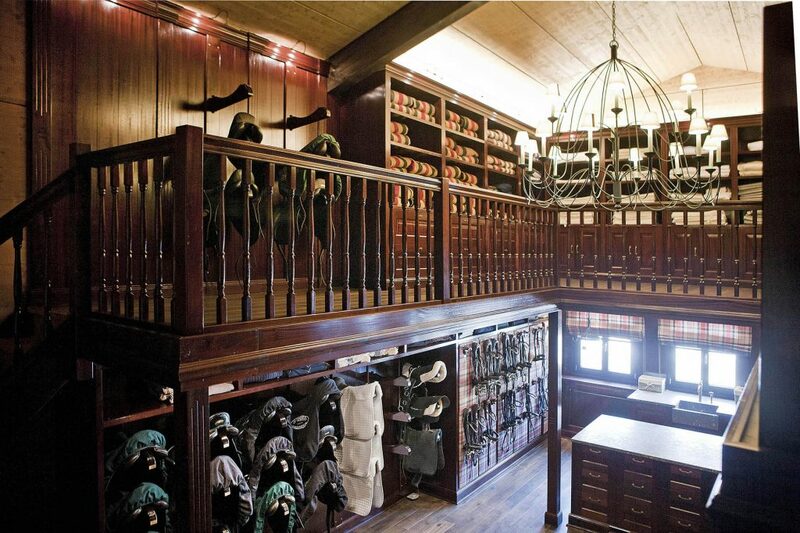 This workhorse of a tack room is built of European oak. There are no unnecessary frills. The wood itself has its very own look and feel. It offers well-planned cabinet work, with or without wash basin, and all built by the craftsmen at SeBo. 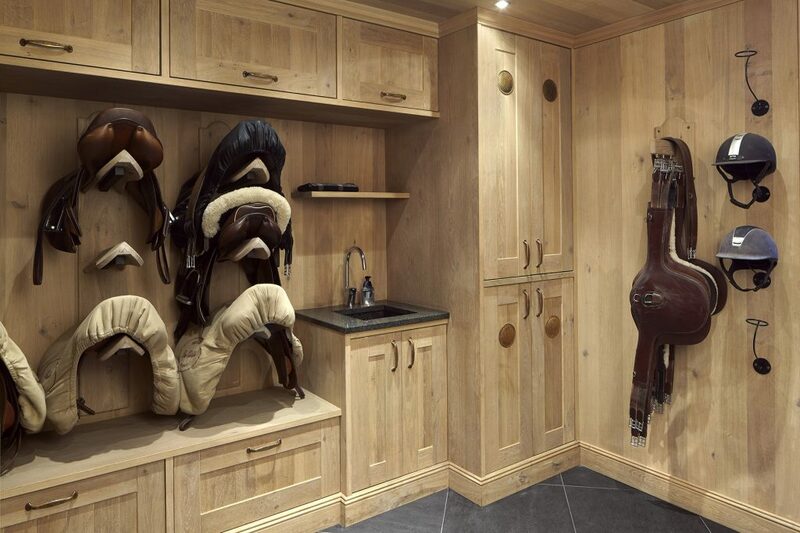 This is a no-nonsense, top-of-the-line saddle room for professional and private stables. You can feel and smell this wood, see the detailing, and enjoy its convenience and functionality — every day. SeBo designed an extremely spacious, two-floor tack room for a large dressage stable. The room has a regal character with its gleaming mahogany furniture, exclusive fabrics and decorated balustrades. The atmosphere is further emphasized by the majestic chandelier. The result is a tack room reminiscent of a classic library. SeBo also designed a salon, in the same style, where the guests are welcomed. A good example where SeBo has got all the freedom to realize a tack room for a new jumping stable. The result is a mix of classical and modern, with the use of mahogany, Belgian bluestone and black details. By combining these materials with clean lines in the design, the saddle room perfectly matches the minimalistic design. 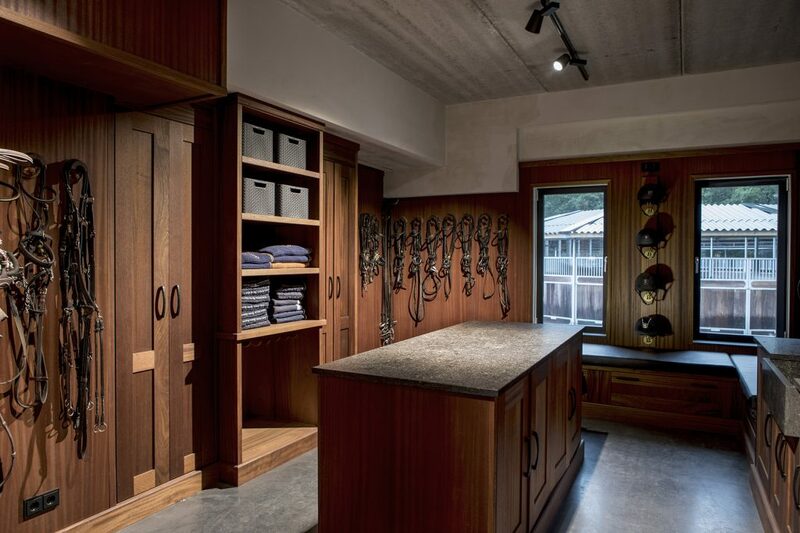 The modern, stylish tack room in Carbon Black oak features classic details that are reflected everywhere in the stables. The result is both uniform and practical: the stainless steel posts next to the stable doors have the same appearance as the stair rails in the tack room. Would you like more information? Our contact form contains all the information required for direct contact or questions. Feel free to contact us, and we will provide you with the requested information.